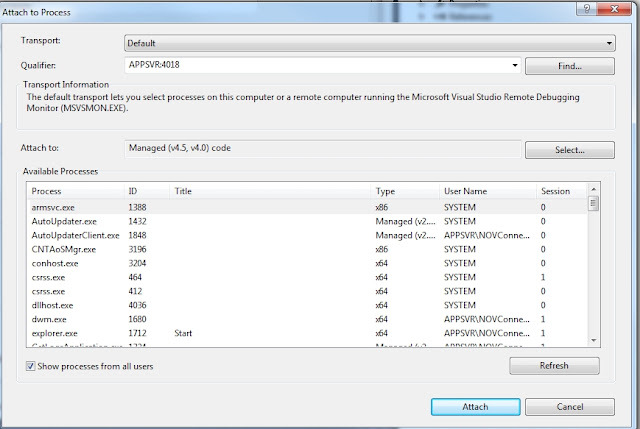 Note: Since Visual Studio 2012, Microsoft only supports remote debugging for Windows 7 or newer. To remote debug Windows XP, you'll need to use an older version of Visual Studio and its respective remote debugging tools. Download and copy the Remote Tools in your Win7 VM. You must get the update version of the Remote Tools for Visual Studio 2013 that matches the update version of your Visual Studio installation. Install the Remote tools in your VM. Ensure that Windows Authentication is selected. Press OK.
Open Visual Studio in your local machine. 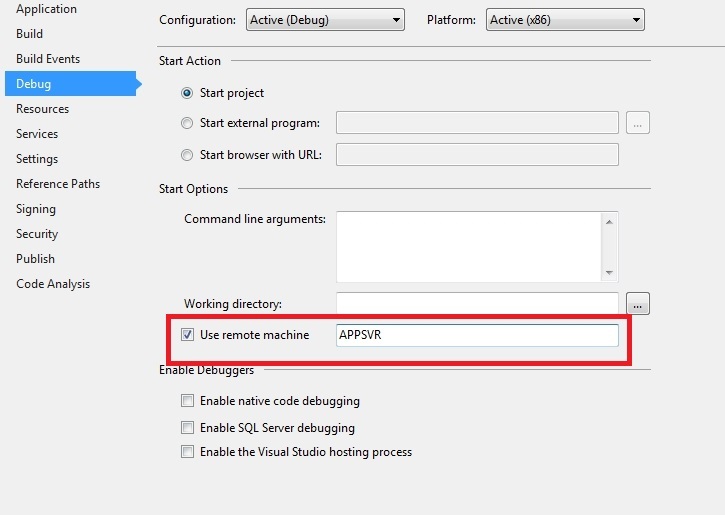 Make sure you have setup the remote machine in the project you like to remote debug as shown in the following figure. You also need to update the Output Path of the build so that it matches the path in your remote machine. You must have the same version of the code on the server as you have locally, so make sure you publish your solution before trying to debug it. You must publish the Debug version of the code to the server. If you publish the Release version, the .pdb files which contain all of the debug symbols will not be included and you won’t be able to debug remotely. 5. From Visual Studio in your local machine. Type your remote machine IP or alias in the Qualifier field and click Refresh button. 6. Select the process you like to attach for remote debugging and click Attach. Congratulations now you can remote debug to the attached process! 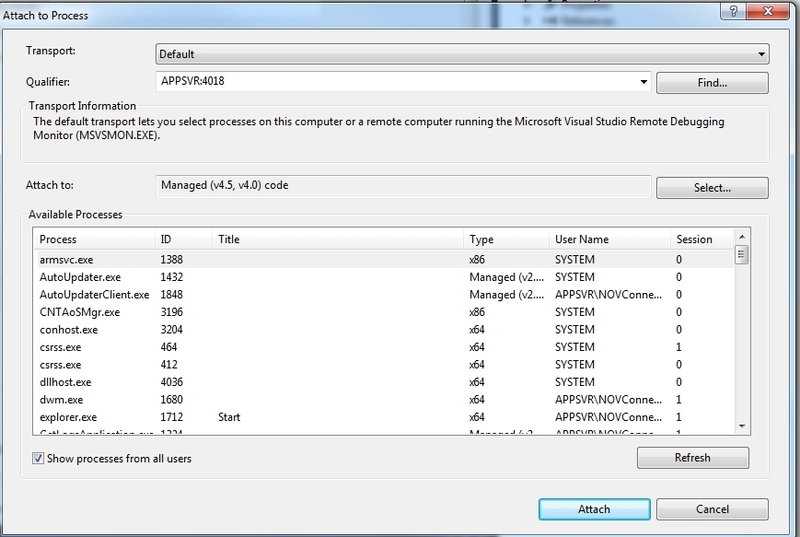 If process attaching fails with VS 2013 showing the message "Unable to attach to process. The RPC server is not available". Ensure that "Use Manage Compatibility Mode" option from Debug -> Options and Settings ->General Tab is unchecked. Ensure Firewall is not blocking VS to attach to the remote process. Add VS 2013 in the list of allowed firewall program. Make sure that RPC service is running both in local and remote machine.